Today Edinburgh International Festival unveiled its 2018 programme, which runs from Friday 3 to Monday 27 August, welcoming 2750 artists from 31 nations to perform in Scotland’s capital city. The 2018 International Festival begins with a free, outdoor performance on Friday 3 August celebrating Scotland’s Year of Young People and marking the centenary of the end of the Great War. The Aberdeen Standard Investments Opening Event: Five Telegrams is a unique collaboration between Scottish composer and musician Anna Meredith and Tony Award-winning artists 59 Productions. Five Telegrams is inspired by materials from the Imperial War Museum which document the experience of young soldiers at the western front at the end of the First World War. Acting as a bridge between 1918 and the present day, these communications resonate across the century and remain relevant to contemporary life. The event weaves together a new work for orchestra in five movements, projected digital artworks on the façade of the Usher Hall and a live performance from over 250 young people. Paris’s legendary Théâtre des Bouffes du Nord is resident company at the 2018 International Festival and brings three new works to Edinburgh. Its former Artistic Director Peter Brook, one of the most influential and important theatre makers of the past century in a career spanning seven decades, asks profound questions about justice, guilt and retribution in new work The Prisoner. One of the UK’s most significant theatre makers Katie Mitchell makes her International Festival debut with an uncompromising adaptation of Marguerite Duras’s La Maladie de la mort. 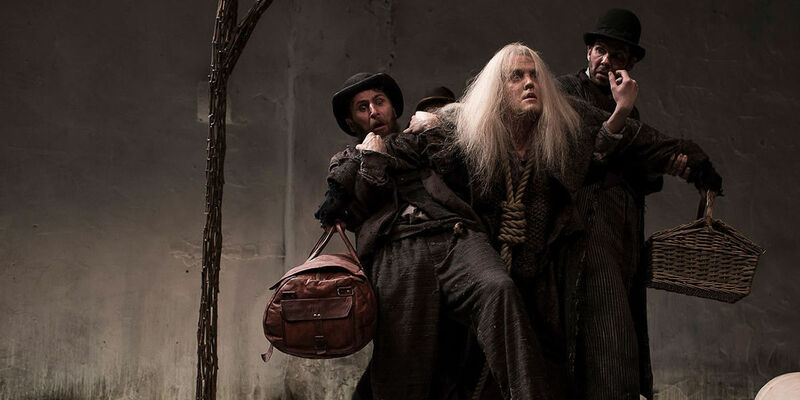 The historic theatre company also present a new production of John Gay’s classic The Beggar’s Opera. Directors Robert Carsen and conductor William Christie strip back the piece to its popular song inspired origins, using music theatre voices in lieu of an operatic ensemble. Other theatre highlights include the National Theatre of Scotland’s return to the International Festival with an expanded version of David Greig and Gordon Macintyre’s Edinburgh-set chamber musical, Midsummer, which is in residence at The Hub. American actor-illusionist Geoff Sobelle invites the audience to a magical party in HOME, building and populating a house on stage and exploring what makes a house a home. Ireland’s internationally acclaimed Druid Theatre brings its celebrated version of Samuel Beckett’s Waiting for Godot, directed by Tony Award-winning Garry Hynes, and acclaimed US actor and star of The West Wing, Anna Deavere Smith brings Notes from the Field - an arresting solo performance drawing on individuals’ experiences of the US ‘school-to-prison pipeline’, and the wider Black Lives Matter movement. 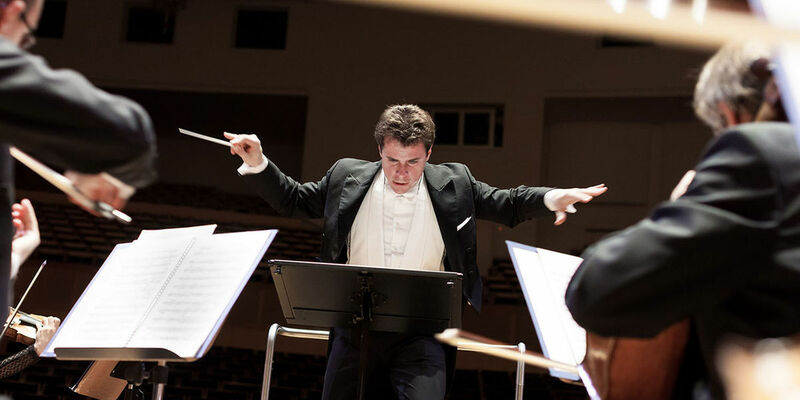 Some of the world's leading orchestras, conductors and soloists will take to the stage in August, such as the London Symphony Orchestra with Sir Simon Rattle, the Oslo Philharmonic with Vasily Petrenko, the Hallé with Sir Mark Elder and the Swedish Radio Symphony Orchestra with Daniel Harding. Soloists include Pierre Laurent-Aimard, Krystian Zimerman and Viktoria Mullova. In Scotland’s Year of Young People, the International Festival will shine a spotlight on some of the most exciting young musical talents around today. The orchestras include the The Orchestra of the Americas, the National Youth Orchestra of Canada, the Colburn School Orchestra, the National Youth Jazz Orchestra of the USA and the National Youth Orchestra of Scotland, alongside the National Youth Choir of Scotland which performs in residency throughout August. As part of this celebration of young talent, a new initiative Free for Under 18s in 2018 invites young audience members to attend these concerts completely free of charge. The centenary of the birth of 20th century music titan Leonard Bernstein is celebrated across a series of concerts around his birthday on 25 August. The Hebrides Ensemble gives a recital at The Queen’s Hall featuring a number of his chamber music works. Evening concerts at the Usher Hall feature his former pupil and protégé conductor Marin Alsop, leading Nicola Benedetti and the Baltimore Symphony Orchestra through some of his most acclaimed works, including the Serenade and Symphonic Dances from West Side Story. The International Festival hosts the semi-finals and final of the Eurovision Young Musician 2018, an initiative of the European Broadcasting Union which sees young soloists from 18 nations compete to become European Young Musician of the Year. The competition features the winners from national performance competitions including the UK’s BBC Young Musician of the Year and the winner will be decided by a judging panel including Scotland’s leading composer Sir James MacMillan and Marin Alsop, in a concert broadcast live across Europe from the Usher Hall on 23 August. For the first time in thirty years, the International Festival returns to Leith Theatre for a special season called Light on the Shore with Edinburgh Gin Seaside which celebrates the remarkable variety and collaborative nature of Scottish popular music. Artists including Mogwai, Django Django and Karine Polwart appear in concert, Anna Meredith revisits her widely acclaimed album Varmints with the Southbank Sinfonia and Berlin-based Stargaze Ensemble rework Boards of Canada’s High Scores, and some of the country's most collaborative innovators including Neu! Reekie!, Hidden Door, Celtic Connections and Lau, curate bespoke events. The full line-up and information about how to be book tickets will be announced on 2 May 2018. Other contemporary music artists performing at the Festival include Canadian singer-songwriter John Grant, playing a concert showcasing his new album, due for release this August; and American artist St. Vincent, whose 2017 Masseduction was regarded by many as album of the year. The dance programme welcomes some of the finest contemporary companies making their International Festival debuts. Company L-E-V brings its searing double-bill Love Cycle – featuring OCD Love and Love Chapter 2 and techno inspired soundtrack; Wayne McGregor Company presents Autobiography, a work created using the genome sequence of its choreographer; and Michèle Anne De Mey’s Cold Blood - a live cinema and dance piece, featuring choreography comprised entirely of hand movements. 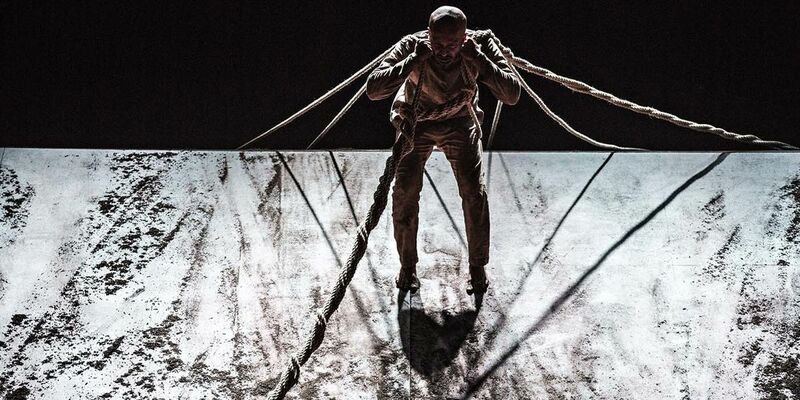 World-renowned dancer and choreographer Akram Khan returns to Edinburgh to give his farewell Festival performances, dancing in his final full length piece XENOS, a new work marking the centenary of 1918 inspired by the harrowing experience of young Indian soldiers fighting in European trenches. 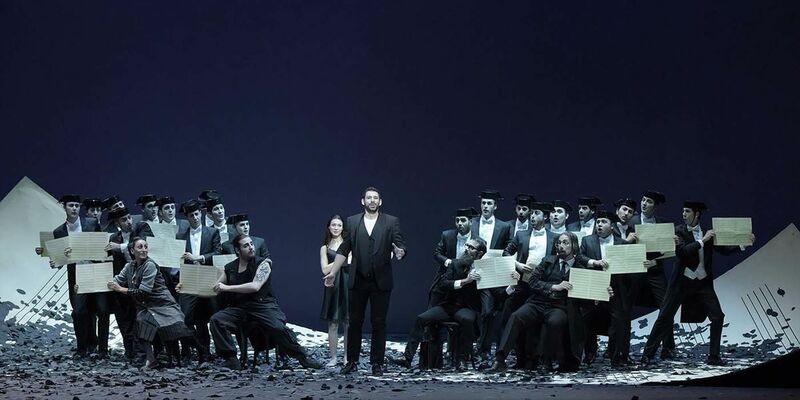 Opera highlights include comic classics from Rossini, in new and contrasting productions from two of France’s leading opera houses. Opéra de Lyon presents Cinderella story La Cenerentola in a sumptuous and wildly funny production from Norwegian director Stefan Herheim, while Paris’s Théâtre des Champs-Elysées brings Laurent Pelly and Jérémie Rhorer’s starkly elegant The Barber of Seville. Concert performances in the Usher Hall include the third instalment of Wagner’s Ring cycle Siegfried, which follows incredible acclaim for 2017’s performance of Die Walküre; and Humperdinck’s operatic fairy tale, Hansel and Gretel. The International Festival will once again be brought to a spectacular conclusion on Monday 27 August with the Virgin Money Fireworks Concert, when over 400,000 fireworks bursts into the sky above Edinburgh Castle choreographed to live music from the Scottish Chamber Orchestra. A special selection of music by Leonard Bernstein begins the evening - celebrating the centenary of this birth - followed by music from Gustav Holst’s The Planets accompanying the incredible display of fireworks above Edinburgh Castle. Tickets for International Festival performances go on sale in a priority period to Festival Friends and Patrons on Saturday 17 March, with public sales going live at 10am on Saturday 24 March. A range of prices are available across the programme, with tickets starting from just £8.